Hoping some of you guys migth have some good ideas. To thos of you that know my Triton i have 2 aerials currently mounted between the Sports Bar supports. With the New addition to the family i have decided to put a Canopy on the car. This leaves me with a Dilmena with the Aerials. I hate Aerials on the bonnet or nudge bar but i cannot see a way to mount the aerials anywhere else. I cannot mount to the roof because of height reasons. I was thinking of mounting to the Side of the Canopy but cannot see how i can do it and still look ok. I would post a photo but have no idea how. There is one in my shed of current. Sorry the photos werent there so i have added them, Note the sports bars have been removed prior to canopy install. I have one of these for sale if it suits? Geek got his antenna mounted to a bracket on the bottom bar of the nudge bar (before he got the xrox). It was short enough that it didn't protrude far beyond the line of the bonnet. Might be one way to reduce the impact of it. The funniest thing about this particular signature is that by the time you realise it doesn't say anything important, it's too late to stop reading it. Depends on the canopy - I can fit my arm in the gap between mine and the cab so those little aerials would fit - not sure whether that will be the same with this one. Query though whether putting it too close to the back of the cab will reduce the effectiveness of the aerials? What brand of canopy are we talking? Cowboy Dave wrote: Depends on the canopy - I can fit my arm in the gap between mine and the cab so those little aerials would fit - not sure whether that will be the same with this one. Query though whether putting it too close to the back of the cab will reduce the effectiveness of the aerials? I actually just thought of the interference factor too........probably not the best solution?? Although the whole car is metal isnt it So how much difference does it make?? You really need the antenna in "free space" to work well. Otherwise it can become directional and / or deaf. What about a short flexi rubber ducky style antennas? They are about 30cm tall and will bend 90 deg if height is a problem. Otherwise mount some brackets to each side of the canopy. brackets and/or extension poles on the rear bumper. 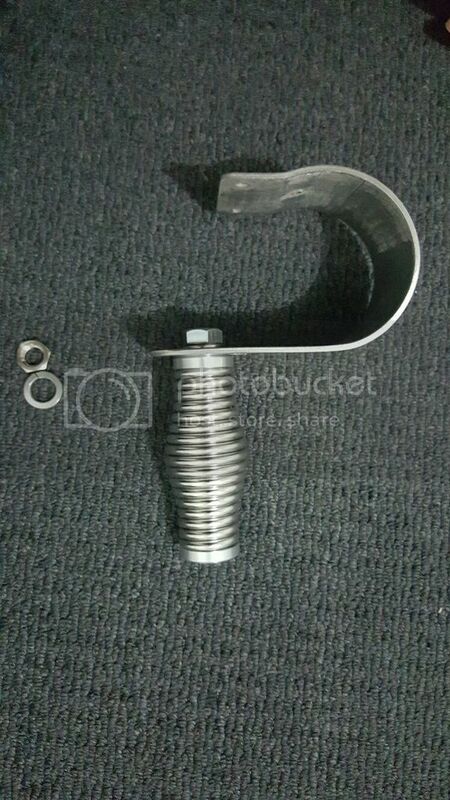 you can get into the steel brace for more strength less movement and better mounting. would have to extend cables. Unfortunately the places you don't want to put them are some of the most practical for signal. If its a visual thing......have you thought about mounting them where you don't want them and unscrewing the aerials when not in use? I was looking at it last night and the only option i see is the bonnet, or fabricating some brackets to mount to the side of the canopy. I cant change the aerials especially the VHF as they are specifically tuned for the unit thats in the car. Once the Canopy goes on i will look further into my options. Lee, Motoz has mounted it to his awning. That may b a bit high for u but he moved his from the rollbar to the awning. I'm sure there's a pic in his build thread. When they wake up in the morning, that's the best they're going to feel all day. Dont mind that COW, BUT the problem is becasue the Base Height would be so low it wont give that Great a Reception. For me the Transmission doesnt matter because the unit transmits at 50 watts, But receiving the reception wouldnt be that great. Bob, Yeah a little to high for my liking, I thought about putting them on fold down brackets, But then i would get lazy and end up braking them off on a Carpark ETC. Even as they are now they touch in most carparks, but they are flexible enough that it doesnt matter. I think i am doomed to the mounting on the Bonnet on the Z brackets. I Am contemplating a Bull bar and would relocate there if that happens. On a completely unrelated topic...I am pretty sure I saw you going north on the Bruce Highway around 2pm near Burpengary. I saw an Ironbark MN with the Narva 225's but it had a canopy so I wasn't sure if it was you! 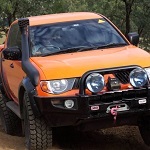 With the aerial's just mount them on the bonnet then shift to a bull bar when you get one. Much easier! I think thats the way i am gonna have to go, No other choice unfortunately. Yeah my mate had some air actuators for his spottys when he went in to carparks etc they folded back! He used it when a copper pulled him over for the spotties on the roof facing forward supposed to be illegal? And he just flicke the switch and pulled them down reckons the money he forked out for them payed for them selves from the look on the coppers face! A Heroin Addiction Would Have Been Cheaper!! I received Antenna and I pretty much have an idea how to mount it just a bit confused how to mount on the bracket if you guys could guide me that will be great. 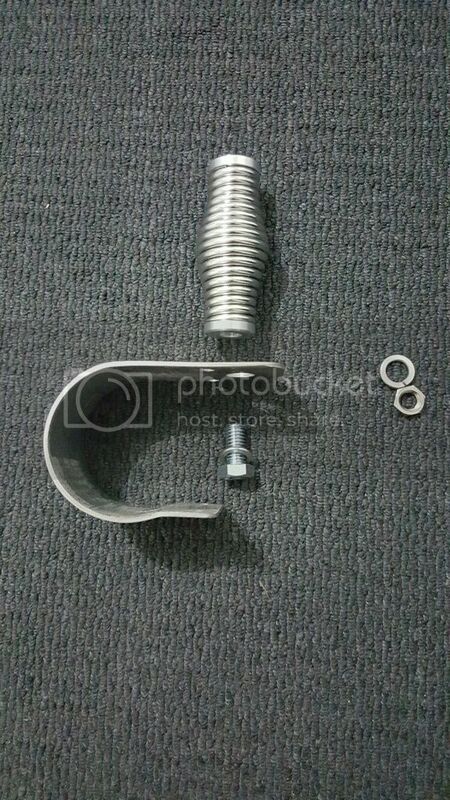 Photo 1 shows it comes with two washers, one bolt and one nut. now the thing im confused is why do I need that nut and extra washer as you can see in photo 2 I can just secure the spring on the mount just by tightening the bolt through the bracket and it stays there ? so the biggest question is where does that extra nut and washer go ? I have attached photo 3 and photo 4 and used that small nut and washer but that does not look right so can you guys help me to understand where should that extra nut and washer go ? The extra nut and washer that is sitting on side in photo 2 what is the logic of that ? 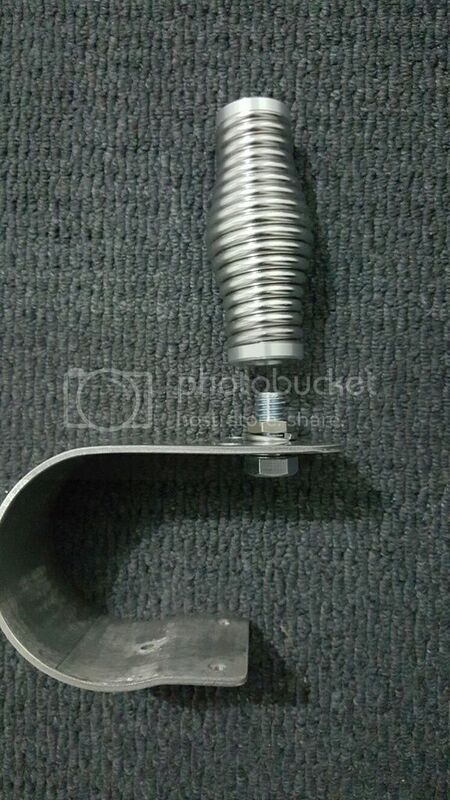 See how the antenna lead comes into the antenna through a special adaptor mounted on the top of the spring? This system isn't all that common, from what I've seen. 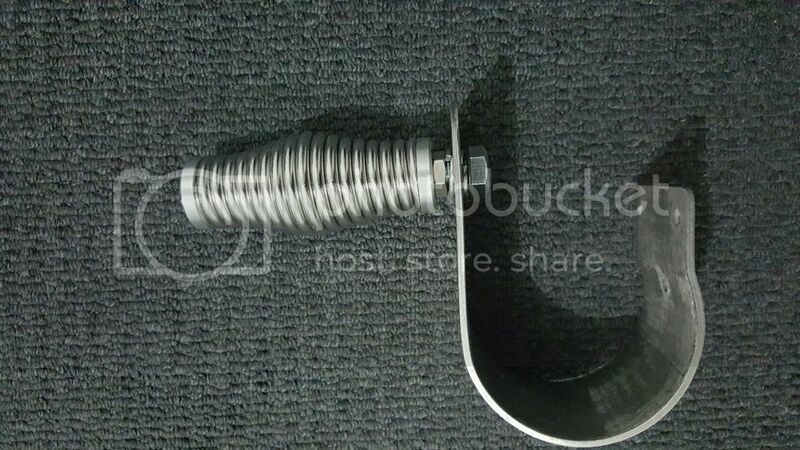 In this one the lead passes through the bottom and then up through the spring. Either way, what you've pictured is incomplete, possibly so that you can make your own decisions on the type of base you want to use. Thank you for you reply my lead will be passing through just like the second photo you showed so seems like even if I dont use that extra nut and washer it wont make any difference? That spring looks more at home with a HF antenna (usually longer whip). For UHF, a simple Fibre glass 4.5 or 6.5dB whip on an insulated base is probably your simplest and most reliable option.